Maeve and Keeva may be twin sisters, but as Sisters Divided readers will learn, they are completely polar opposites in character and personality. 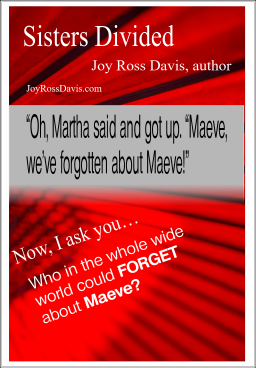 As noted in a recent meme, Maeve is very difficult to forget or miss! Written as a collection, the stories about these sisters was released in a series during the past few months. Pleasant, wholesome reading with a message about how to treat others from a variety of views.